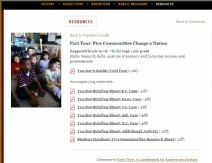 In this classroom activity, students will research to gather information in order to create a radio broadcast about the five court cases that made up Brown v. Board of Education, and tell the stories of the African Americans from different walks of like who demanded better educational opportunities for their children. 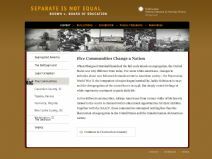 This lesson is part of the online exhibition entitled Separate is Not Equal: Brown v. Board of Education. 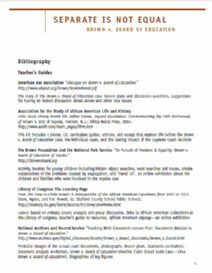 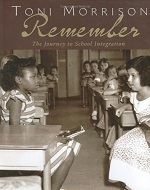 A fictional story with historic background and photographs depicting students during the period of integration.